Use ad tags in Above the Fold (ATF) placements and on content-rich pages. It helps to get more premium campaigns and increasing overall traffic quality. Above the Fold placements increase CTR (*) by 36% on average and as a result advertisers are willing to pay higher CPMs (**) for such placements. If you are using PixFuture ad tags in Below the Fold (BTF) placements, most likely you will have less CPM rate campaigns because traffic quality is significantly lower. Important! There is a strict rule of 5 ad tags per page including other ad network tags! 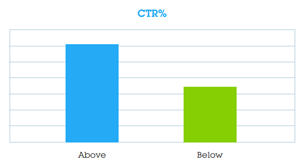 * CTR is the click-through rate or number of times a click is made on the advertisement.